Where does one even begin when writing about Anthony Bourdain? A chef whose fame has had more to do with sharp wit than kitchen skill, he is outspoken, unapologetic, and controversial. Recognized around the world for his renegade restaurant stories, his books, his shows, his raw, raucous comments have become the religion of guerrilla chefs everywhere, resulting in a reputation that certainly precedes him. In searching for the right words, a recent episode of No Reservations came to mind. After traveling along the Hudson River with his friend, food writer Michael Ruhlman, Bourdain found himself sharing a meal with actor, and local resident, Bill Murray. Normally sharp-tongued and talkative, the chef remained mostly mum during the meal as Murray rolled out his familiar quips, seemingly a bit star-struck. 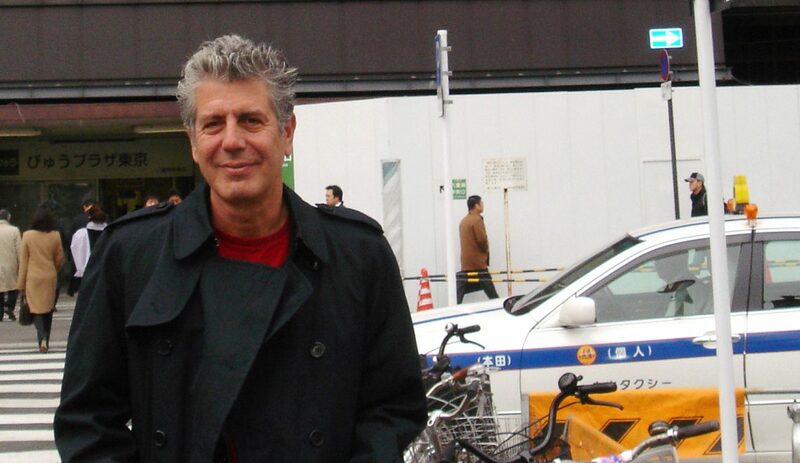 In the episode’s voice-over, Bourdain even noted his surprise at the chance meeting with Murray. “He is so totally awesome,” the chef penned in his subsequent blog post.